Peter is a political economist who, between 1972 and 1995 carried out research at the University of Sussex Science Policy Research Unit (SPRU); and is now an Honorary Senior Fellow there. Between 1995 and 2018, he was a Visiting Professor at the University of East London. His principal research interests are in relationships between society, the economy, technology and inequality, both in developed and developing economies. 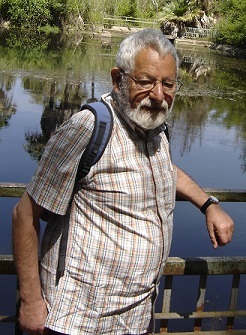 Peter is a member of the Editorial Board of Prometheus: critical studies in innovation, and a trustee of East Sussex Brighton and Hove Crossroads Care. UNDERFUNDED CHAOS IN ADULT SOCIAL CARE? Copyright © 2018 Peter Senker All Rights Reserved. Powered byFreemium WordPress Theme.